Here are ten offline marketing strategies to get your product known to potential customers who might not otherwise know about it – or buy from you. Promoting your product offline is as important as any online marketing strategy. There are a lot of potential customers who are not reached by your online advertisement or don’t know how to use the Internet effectively – others are simply more the casual users. In order to also reach these valuable customers you can make recourse to offline marketing. Offline Marketing is the use of media channels that are not connected to the World Wide Web in order to create awareness of a company’s product and/or service. Since it is almost impossible to imagine, for any business today, to not have its own website, offline marketing strategies are now often tied to company’s online efforts even though the arrival of the Internet appeared to be the end for print-based and other “dated” mediums. One of the downsides of offline marketing programs is that they can be hard to track to conversion, and also hard to identify the number of users that visit websites after getting to know about them offline. This article will deal with the numerous opportunities to use offline marketing in order to make more money in an online and offline market. But why do I need offline promotion to maximize my sales online? –Because it is important to close the loop between online and offline marketing. It is not a competition – just a matter of perfect synergy. 69% of e-commerce websites are now using offline marketing to drive Internet users to their sites. All stationery items that you send or hand out are opportunities to let people know about your company’s website. Make sure that your URL (website address) is printed on all possible things that leave the office in print. This is a simple but effective way to draw attention to your website. A good place to start promoting – just imagine how many people actually “see” an envelope that you send. Today it is very important to represent the significance and the value of your company with your printed media. If you don’t want to perish in the printed world of communication you need to stand out – differentiate in order to clearly position your company. The first impression is important and can decide whithin seconds whether it is effective or not. Try to find the right design and repeat the structure and color scheme on all levels of media – online and offline. In marketing the value of brand recognition is a very simple but precious tool to emphasize connections between media appliances. Business Card – Including your URL is important. It is also a creative way to bring people to visiting your website. It is not all about winning new customers – you need to take good care of keeping the ones that have already bought products. It can give customers a reason to return – as for example sending a brochure/product sheet with every purchase can raise interest and awareness. You can also raise product awareness by leaving brochures in shops or institutions with similar interests. Some companies send out stationery coupons, personalized birthday whishes, holiday discounts and specials or small presents to loyal customers by mail. A good idea when you have a commercial store and an online shop would be to give people who buy offline in your store an online-discount. This can be solved by handing out flyers with a discount code to in-store customers. Personal messages in pictures or mails increase the individual effect on the recipients. The customer will feel respected and will read the message more intense. The visual effect is more powerful than a formal, general salutation. Rita’s – The company sends coupons with the full name of the customer for Birthdays and other occasions. Writing a press release or a newspaper/magazine article can perform miracles. You can choose if you want to promote your product or company openly or secretly promote by giving a professional view on a related topic and refer to your website, company or product. People can connect more with a business when they come across a professional article or popular story because it seems to earn more “trust”. In my point of view this strategy would be some sort of “offline-blogging” – which in the online world is a very effective way of promotion. Before writing a press release, think about the things your customers would like to read, watch and listen to in the media. Most of the readers are generally interested in things they haven’t heard before, find surprising or help solve problems. People like reading magazines because they are personal, visually appealing, offer a unique voice and address subjects of individual interest. If you hold a deep enough interest to launch a company magazine and write articles about company realted topics, there are most likely other people out there interested in reading your news. Don’t worry about your market size being too small or too large because your main concern comes with the content you publish. DB Deutsche Bahn – The customer magazine of Deutsche Bahn (German national railway) is a permanent offline marketing campaign. A common strategy with evident efficiency is the use of various promotional giveaways. They have a strong impact because they are a constant reminder of your product or company. These products usually have the company´s information, along with the logo on them. Items such as the most common example – pens – are frequently used and forwarded and are a perfect example for a consummate giveaway. 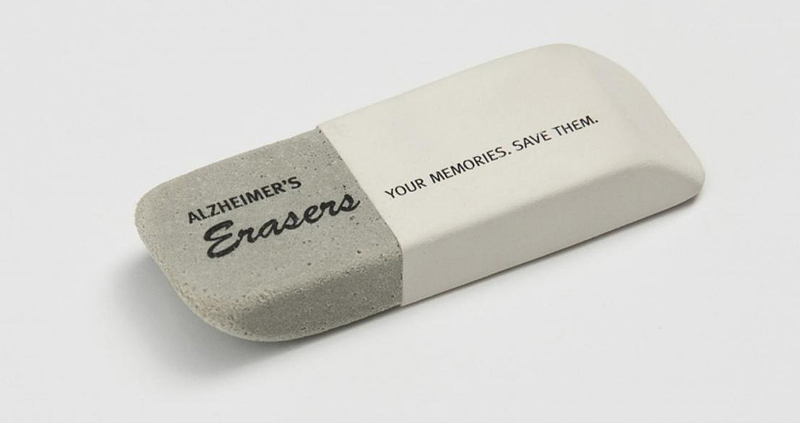 Alzheimer’s New Zealand – Erasers were hollowed out and fitted with USB memory sticks. On the reverse side is Alzheimer’s NZ’s logo and website. They were distributed to local politicians and appropriate organizations to increase awareness. Kit-Kat – Kit-Kat uses objects for advertising using their slogan “Have a break, Have a Kit-Kat.” and by offering sitting accommodations to the people around the world. You don’t have to think as big as major corporations – like sponsoring a well-known football club – but locally you can find sports clubs, associations, youth clubs and other societies that are looking for sponsorships. It is always good to involve social projects within your marketing strategy – it is basically a win-win situation when it is done right and you choose the right institution to represent your company and product. The classic functions of a marketing- event are: information, emotion, action and motivation. These features will make every event a high-quality marketing tool. Eventmarketing is the job of advertising products by selling or providing them at events in order to gain new customers. Red Bull – Red Bull lies in a highly ingenious “buzz-marketing” strategy that herds consumers to exclusive and exciting events that get high media coverage. Red Bull supports close to 500 world-class extreme sports athletes that compete in spectacular and often record-breaking events across the globe. This is an example where sponsoring and events come together. Networking is a very important part of the marketing mix for any business – it builds up productive relationships with key people. The contacts can become useful and powerful advocates that support and promote your business. Attend the right events that aim at your sector, seek support from your local Chamber of Commerce or be an active participant in the local community. Networking goes hand in hand with events, exhibitions and sponsoring. Connect to more businesses, create business referrals and it offers the opportunity to share ideas, ask questions, discuss business and learn from other business owners. The more people you know, the better it is for the growth of your business. It is good to raise awareness, visibility and helps improve your brand image. Whether it is online or offline it is always the best approach when you are helpful, truthful, likeable and knowledgeable. These characteristics are essential for any business relationship to be successful, strong and enduring. Face-to-face communication is very valuable and important because it enables you to meet people that matter to your business – existing customers, new prospects, suppliers, retailers and investors – all in one place. You can have conversations with customers, present your product and get the opportunity to find out about your customers needs, which is valuable for market research. Startup Grind (Google)- Startup Grind is an event series and website designed to help educate, inspire, and connect local entrepreneurs. Marketing partnerships are a powerful way to present yourself to customers, that you might otherwise never reach, by combining forces and coordination in order to help one another with marketing affairs without the potential of conflict or competition. Each individual company benefits from wider exposure, more referrals and marketing that is more efficient. Optimally there’s no exchange of money involved in a perfect marketing partnership but there is a significant promotional element. Branding your own product with another or offering buyers the chance to win a certain product is a common marketing method. Kit-Kat – In September 2013 it was announced that version 4.4 of Google’s Android mobile operating system would be named „KitKat“. Google is licensing the name from Nestlé, with no money changing hands. A promotion ran in numerous countries with specially branded Android Kit Kat bars to win Nexus 7 devices and Google Play Store credit. Every day we see cars, vans, trucks and busses with website addresses, phone numbers, company names and logos. Your website address can be added to any part of a vehicle in any possible and creative way. This strategy can expose your business to thousands of people every day. It can also serve as a company’s recognition value. It is also referred to as a „vehicle wrap“ which is the marketing practice of completely or partially covering a vehicle in an advertisement or a new livery. The result of this process is basically a mobile billboard. Outdoor Advertising Magazine has been researching the effectiveness of mobile billboards and said that outdoor mobile media billboards have a 97% recall rate and most people that took part in the surveys thought mobile advertising is more effective than traditional outdoor advertising. Truly Nolen – In the 1960’s they had their first Beetle Volkswagen made into a mouse. The trademark yellow mouse cars and yellow trucks have helped identify Truly Nolen as the pest control company with a sense of humor. It has a high recognition value for the company. Perhaps the most effective and underestimated marketing strategy is the word of mouth. Talk about your business, product and website at every important opportunity and encourage customers, friends and colleagues to spread the word. It is surprising how many businesses owe their success to word of mouth. Ensure the widest possible coverage and use all your potential on the market. Word of mouth can be easy to spread when you do it right – make sure you stand behind your business and others will follow. You should make sure that all employees know well about the business and business website in order to have a strong performance and to support the word of mouth. But be careful word of mouth can work both positively and negatively. Don’t lie and cheat – for example giving your product false attributes or an exceptional feature that it doesn’t fulfill – because it will come back to your business. Be professional and the rest will look after itself. It is an unspoken, general rule that a happy customer will communicate his positive experience with others, but an unhappy customer will communicate his disappointment with more than three times as many people. Zappos – Zappos is a company with an extremely devoted following. If you ask Zappos superfans why they love the brand, they’ll probably say something about Zappos’ exceptional customers service. Almost every month there are new blog-posts about the “death of offline marketing”. If you trust the statistics of Forrester Research from July 2013 they published reports that say 92% of all purchases still take place offline. The reason why offline marketing is underestimated a lot, is that the offline marketing programs are hard to track to conversion and it is hard to identify their efficacy if the consumer goes online. There is still a gap in data collection even though we have Google Universal Analytics. The selection of marketing strategies above are only a small assortment to explain why offline marketing is just as important – or generally the combination of both – as online marketing. Make sure to close the loop between online and offline marketing. It is most definitely not a competition – it is a matter of perfect synergy. Even if you are only present online, with only a website, it is not outdated to use offline marketing. Get your name out into the world and start using your possibilities because you might be missing out on many customers. The effort and costs are most definitely worth pursuing.